Corporate networks have become extremely complex, particularly at larger, international organisations. At the same time, digital transformation means new needs: satellite offices and mobile users have to be integrated, equipment is increasingly cloud-connected, and telephone calls are being made via internet protocol (IP) technology – and not traditional landlines. Moreover, corporate networks must support growing volumes of data – reliably and securely. In particular, the rising number of applications migrating to the cloud is creating issues that need to be addressed. Until recently, data to and from public cloud services was transmitted solely over the internet. But this is often inadequate for latency-sensitive applications such as voice-over-IP and ERP. The adoption of multi-protocol label switching (MPLS) is delivering improvements, and is the first key network trend. T-Systems has embraced this technology to implement secure, reliable global networks – where each user organisation enjoys its own logically distinct network for all of its sites. Data traffic does not pass over the public internet. Instead, it is transferred via a high-performance IP VPN (virtual private network), backed by guaranteed transmission quality. An MPLS-based IP VPN allows companies to deploy all of their familiar applications in conjunction with robust data security. There is no disruption or interruption of transmission, as is sometimes the case with the public internet during peak load. A key benefit of T-Systems’ solution is guaranteed transmission quality. This ensures, for example, that there is always sufficient bandwidth and network transmission performance for video conferencing. Digital transformation is also amplifying a second key trend: the deployment of diverse network technologies in combination. MPLS VPN will remain the backbone of corporate infrastructures that serve a large number of sites. However, VPN access is also possible via other methods: small remote offices or teleworkers can use a DSL or LTE cellular connection, for instance. Major data centers, by contrast, need networks with significant bandwidth. In this context, companies often employ Ethernet (Layer 2) or managed Layer 1 services via fiber-optic cables. This leads directly to the third trend: virtualisation via software-defined networking (SDN) and network functions virtualisation (NFV). Both of these technologies have been successfully implemented in LAN infrastructures and isolated WAN networks for some time. 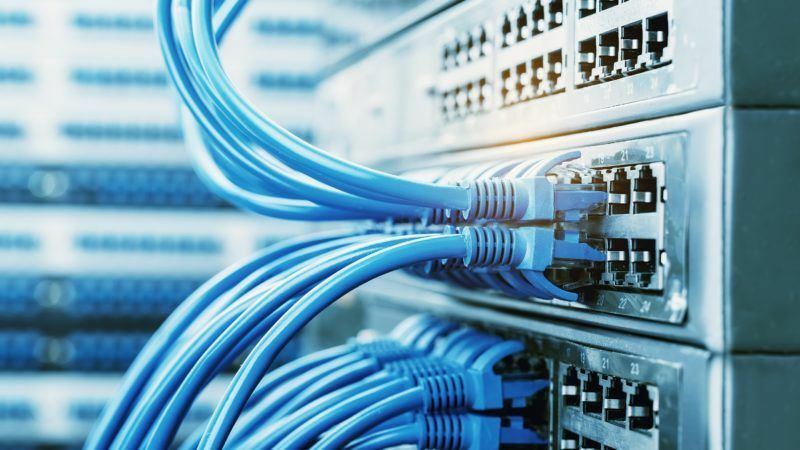 But, until recently, they were not available across multiple carriers, or as a standard service for global corporate networks (wide area networks, WANs). However, T-Systems and Deutsche Telekom will make these capabilities available from the third quarter of 2017. To this end, the German telecommunications player has founded ngena (the Next Generation Enterprise Network Alliance) in association with companies such as Century Link, Reliance and SK Telecom, and with Cisco as a strategic technology partner. The alliance can implement global, software-defined networks for customers worldwide. Today, it has more than ten members, ensuring greater and denser geographical coverage. T-Systems’ solutions for SDN and NFV virtualise network management and network functions that previously required dedicated hardware. This allows networks to be programmed centrally and enables functions such as firewalls, gateways and load-balancers to be supplemented with software. This infrastructure is also highly and rapidly scalable, and can be harnessed to quickly and easily integrate new sites. The rapid integration of mobile devices into the corporate infrastructure is essential. This fourth trend is an ongoing, ever-evolving issue. The number of smartphones, tablets and hybrid notebooks continues to grow, creating huge complexity for companies with European-wide or worldwide operations. Mobile network access differs starkly from country to country in terms of available services, contractual provisions and pricing/invoicing processes. One way out of this dilemma is now provided by the European FreeMove Alliance, comprising Deutsche Telekom, TeliaSonera, Orange and Telecom Italia. As one of the largest mobile communications alliances in the world, it offers one-stop mobile communication solutions in more than 100 countries – with just a single point of contact for the coordination of all customer requests. Moreover, there is a rising number of diverse everyday products that boast mobile network connectivity. And in the context of road vehicles, for instance, it is not just high-end models that are “hot-spots on wheels” – many less luxurious company cars surf the Net as well. Major corporations with vehicle fleets across multiple geographies therefore face a further enterprise mobility management challenge. And while only a minority of company cars are Internet enabled at present, the figure is set to soar over the next five years. To keep pace with these new requirements, a network that achieves and reliably ensures low latency is essential. This is why Deutsche Telekom is paving the way for the next-generation communications standard: 5G will take connectivity to a new level. In the future, at least 50 billion things, and billions of people, will need access to tailor-made networks. These will have to deliver enormous bandwidth for entertainment and ultrafast response times for cars and robots, and long-lasting narrowband connections for parking sensors and streetlights. These four trends demonstrate that global players cannot simply sign a contract with a chosen provider and hope all is well. They need a full-service provider such as T-Systems – a partner with expertise not just in networks, but also in cloud computing, virtualisation and mobile technology.